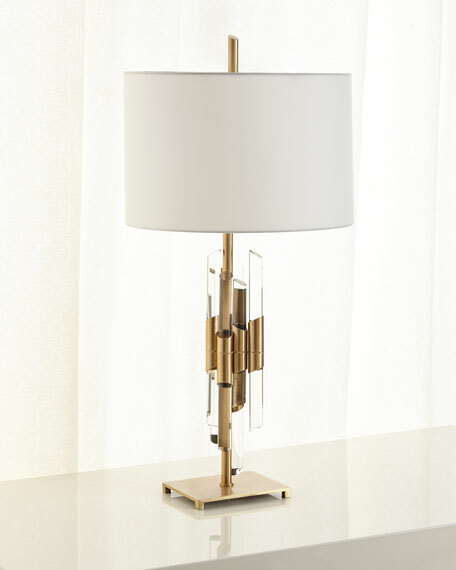 Antiqued brass finished cut sleeves are cut on the bias at varying heights, encase glass rods and then encircle the center stem. The lamp has a manmade silk white shade and topped with an antiqued brass finial diagonally shaped finial. 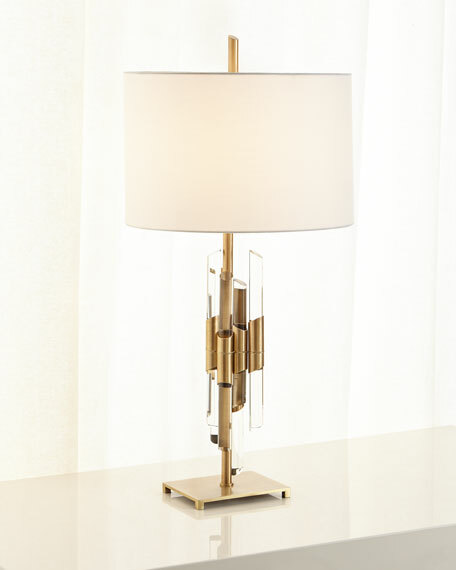 Lamp with brass-finished metal frame.